Prine was born October 10, 1946, to Bill and Verna Prine, who had left rural western Kentucky for Maywood, Illinois, a working-class suburb of Chicago. Prine had been stationed in Germany while serving with the U.S. Army during the Vietnam War and afterwards held a job with the U.S. Postal Service. 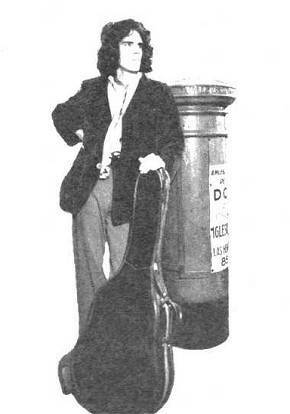 Through his live performances Prine began to be a figure in the Folk Revival scene of Chicago and befriended Kris Kristofferson who helped him secure a recording contract with Atlantic Records (Powers, 2009). John Prine’s eponymous debut album—on which today’s song first appeared—was released in 1971. The album was received as a critical success and Prine became one of those recording artists cursed with the label of being a “new Dylan.” Years later, he went on to win two Folk Album of the Year Grammies for 1991’s The Missing Years and 2005’s Fair and Square. However, to get a real good sense of what a great storyteller he is, I recommend 1988’s John Prine Live. and followed that up with ’71’s Rat On! Quite a talented yet oddball character, I highly recommend seeking these records out. 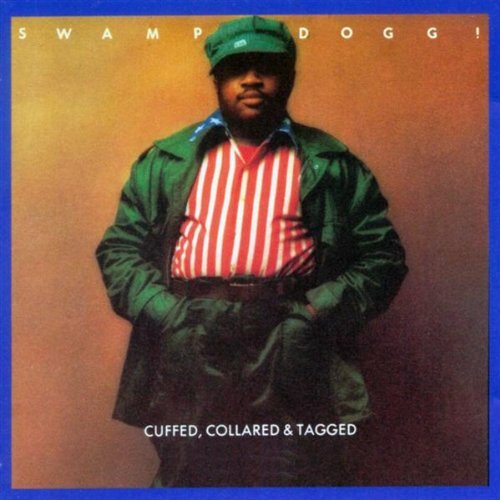 While you’re at it, I’d look for the 1969 album Swamp Dogg produced and arranged for Tyrone Thomas, which came out under the moniker of Wolfmoon. This entry was posted in John Prine, Swamp Dogg and tagged a mouthful of pennies, Al Kooper, Bobby Calero, Cop Shoot Cop, Cuffed Collared & Tagged, Evan Dando, Fair and Square, If It Hadn't Been for Sly, Jerry Williams Jr., John Prine, John Prine Live, Johnny Cash, Kris Kristofferson, Ladies and Gentlemen We Are Floating in Space, Lady Madonna, Muscle Shoals Sound Studio, Rat On!, Robert Calero, Sam Stone (a.k.a. The Great Society Conflict Veteran’s Blues), Spiritualized, Swamp Dogg, The Beatles, The Lemonheads, The Missing Years, The Narcotic Wreck Quintet, Total Destruction to Your Mind, Tyrone Thomas, Wolfmoon on February 27, 2012 by Robert Calero. The John Lennon composition “Happiness Is a Warm Gun,” off of The Beatles 1968 release “The White Album” remains one of his most dynamic, both in terms of musical structure and lyricism. Long rumored to address Lennon’s heroin habit, the song is certainly concerned with much more than just that: a hyper-sexual ode to his developing relationship with Yoko Ono; a comment upon the Guns & Ammo culture; and a display of the poetic depth and pleasure of language a skilled writer can achieve, as is evident in the song’s fragmented, imagist lyrics. However, for the purposes of my little quintet of songs, the narcotic aspect is the lens I’ve chosen to view the song through today. 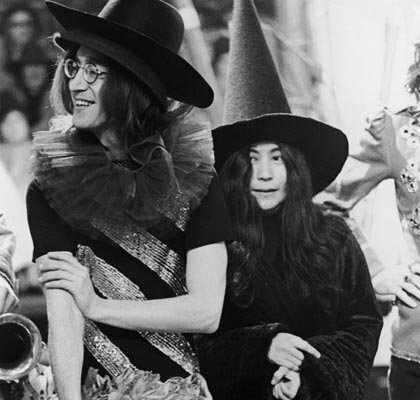 Although they certainly never seemed to develop a habit horrific enough to warrant a memoir exclusively dedicated to the subject, Lennon and Yoko have both admitted to having a shared heroin addiction, which they attempted to kick together. A year after “Happiness Is a Warm Gun” Lennon recorded his second non-Beatles single, the harrowing “Cold Turkey,” which related the physical experience of withdrawal, and features a lacerating guitar riff played by Eric Clapton. In a 2007 interview Ono stated that she believes they were able to overcome their addiction because of both their trepidation in using the drug intravenously and the fact that their dealer frequently cut his product down into a much more diluted form. “Luckily we never injected because both of us were totally scared about needles. So that probably saved us and the other thing that saved us was our connection was not very good. But that saved us actually” (Revoir, 2007). Numerous and notable artists such as U2, Tori Amos, and frequent guitarist for Tom Waits, Marc Ribot have covered “Happiness Is a Warm Gun” over the years. 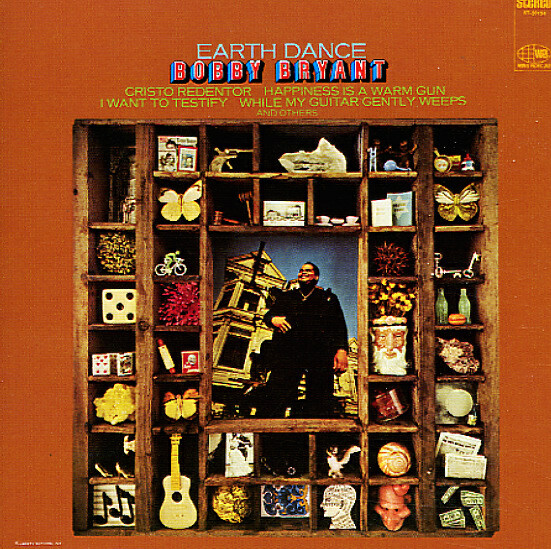 My favorite cover, however, is the big band rendition performed by trumpet player Bobby Bryant on his 1969 album for Pacific Jazz Records, Earth Dance. Bryant’s orchestration heightens the dramatic tension already inherent in Lennon’s song and his jazz sensibilities make excellent use of its frequent shifts in time signature. Well, stay tuned for the conclusion of The Narcotic Wreck Quintet! This entry was posted in Bobby Bryant, John Lennon, The Beatles and tagged a mouthful of pennies, Bobby Bryant, Bobby Calero, Cold Turkey, Earth Dance, Eric Clapton, Happiness Is a Warm Gun, John Lennon, Marc Ribot, Robert Calero, The Beatles, The Narcotic Wreck Quintet, The White Album, Tom Waits, U2, While My Guitar Gently Weeps, Yoko Ono on February 12, 2012 by Robert Calero. 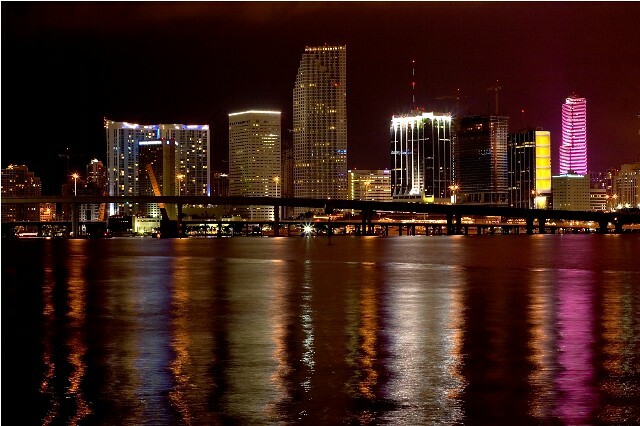 At the age of fifteen or so, my cousin Paul and I took a trip to Miami to visit my “cool” uncle Raul. Other than learning that my uncle had recently secretly (at least in terms of my cousin and I being the only family members privy to the information at that time) been married to a Russian woman named Yelena that he insisted on calling “Svet,” and the incident where the Mexican day laborer in plaster splattered overalls attempted to give me his cheap, black & white pornographic magazine in a beach-front hotel’s public restroom, the most memorable aspect of this trip was receiving daily from my uncle an assigned cultural education. It was through these “assignments” that I first saw Apocalypse Now—Francis Ford Coppola’s 1979 existential nightmare masterpiece and riff on Joseph Conrad’s novella Heart of Darkness. I also recall watching the 1988 film Little Nikita starring Sidney Poitier and River Phoenix, concerning Soviet sleeper-agents in San Diego. On another occasion my uncle demonstrated the finer points of shoplifting books. 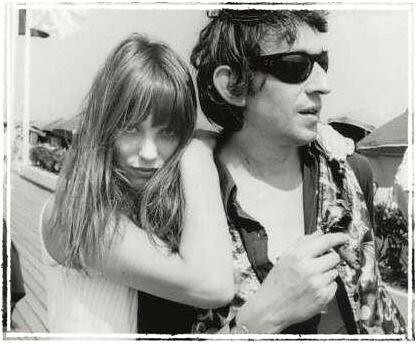 I walked from the store that day with a weathered copy of Jack Kerouac’s On The Road, but to the best of my recollection I in fact paid for it. Along with these lessons, each morning my uncle would give me three cassettes to listen to on my bulky, black Walkman while my cousin and I lounged on the beach waiting for him to get out of work. My cousin had very recently recuperated from major surgery on his anterior cruciate ligament (ACL) and had spent the past few months in bed whacked out on painkillers and watching reruns of The Cosby Show (at the time you needed only to change the channel once and you could watch numerous episodes in a row) and so he really wasn’t up for much more than lounging on the sand. The beach was located behind the hotel where my uncle was employed at the desk, so we were never really all that far from his supervision. Of all those albums on cassette my uncle assigned me, three have always remained in my memory: The Who’s first live album, Live at Leeds, recorded February 14th, 1970; The Clash’s outstanding 1979 double-album, London Calling; and the album from which today’s song comes from, Raw Sienna by British blues-rock group Savoy Brown. 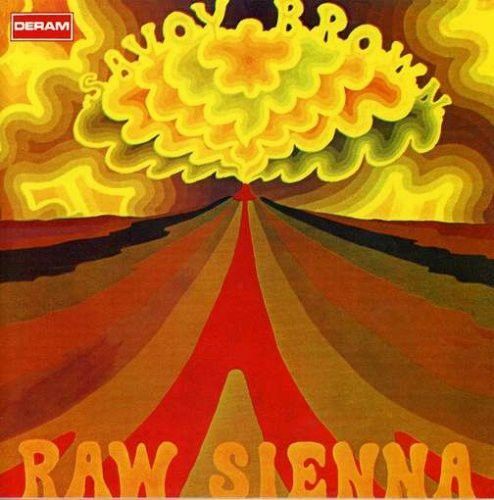 Raw Sienna, released in 1969, was Savoy Brown’s fifth album and was in fact their third album of that year. It would also be their final album featuring lead vocalist Chris Youlden. Shortly thereafter, guitarist “Lonesome” Dave Peverett, bassist Tony Stevens, and drummer Roger Earl also left the group and went on to form Foghat, which cemented their fame through their 1975 hit single “Slow Ride” (Shahso, 2012). This entry was posted in Miami FL, Places I Remember, Savoy Brown and tagged Apocalypse Now, “Lonesome” Dave Peverett, Bobby Calero, Chris Youlden, existential nightmare, Foghat, Francis Ford Coppola, Heart of Darkness, If you’re married you can divorce your wife But when married to ‘H’ then you’re married for life, Jack Kerouac, Joseph Conrad, Kim Simmonds, Little Nikita, Live at Leeds, London Calling, Miami Florida, Needle and Spoon, On The Road, Raw Sienna, River Phoenix, Robert Calero, Roger Earl, Savoy Brown, Sidney Poitier, Slow Ride, Terry Noonan, The Clash, The Cosby Show, The Who, Tony Stevens on February 8, 2012 by Robert Calero. 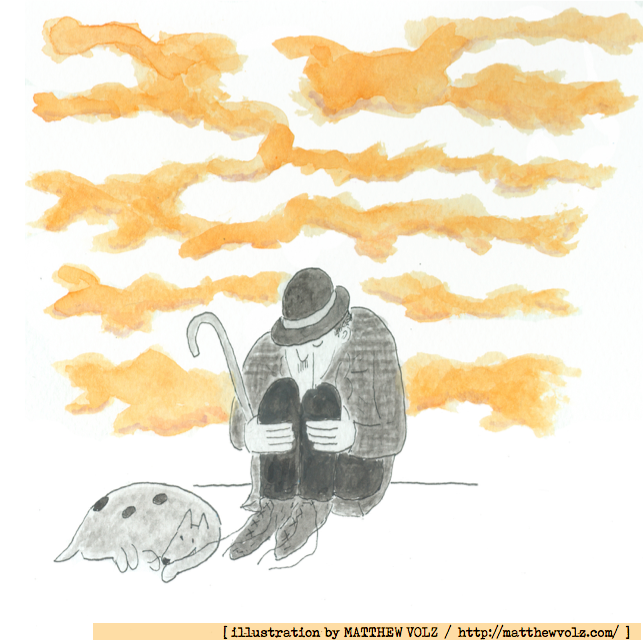 THE NARCOTIC WRECK QUINTET—PART 2: WHAT WOULD I DO WITHOUT YOU TO SEE ME THROUGH? Unfortunately, many of my generation grew up with Ray Charles as “the other blind, black guy” that wasn’t Stevie Wonder, and as the man hocking Diet Pepsi during commercial breaks while watching say, The Cosby Show, or The Fresh Prince of Bel-Air. As I grew up in a Coca-Cola household, the man lost points right there. So it was not until a few years ago that I gave him a true listen, and oh boy can this guy’s voice make you quiver, shake, and melt all in one song! Couple that with his extraordinary talent for composition and you begin to really appreciate that Ray Charles existed in a world of sound, and that the music he shared was coming from a place deep down inside. Most are familiar with the biographical facts of Charles’ life through the entertaining—if somewhat caricatural—2004 film, Ray, starring Jamie Foxx, and so I don’t really feel the need to go into all that. Before moving on to song #2 of my planned 5 part series, I will point out that Ray Charles was an admitted drug addict since the age of 16. Scorsese pulls out a Ray Charles album; the song he wants us to hear is “What Would I Do Without You,” from 1957. It’s a slow, tragic blues ballad; there’s the assumption of a happy ending, or at least of resolution, in the lyrics, but not in Ray Charles’s singing. “Leave out a few Billie Holiday tunes, and there’s more heroin in that music than in anything you’ll ever hear,” Robertson says. “Heroin does something to your throat, it makes the voice thicker. Listen.” We do; the title of the song takes on a new, acrid meaning. “We used to do it,” Robertson says, “‘What Would I Do Without You,’ after we left Ronnie, when it was just the five of us, before Bob, before Big Pink. But we couldn’t get away with it. The song was too down, it was death. That’s what it is. People would just sit there, or they’d leave” (Marcus, 2010). This entry was posted in Ray Charles, The Band and tagged Coca-Cola, Diet Pepsi, Greil Marcus, Hallelujah I Love Her So, heroin, Jamie Foxx, Martin Scorsese, Ray, Ray Charles, Robbie Robertson, Stevie Wonder, The Band, The Cosby Show, The Fresh Prince of Bel-Air, The Last Waltz, What Would I Do Without You, Winterland Ballroom, Yes Indeed!! 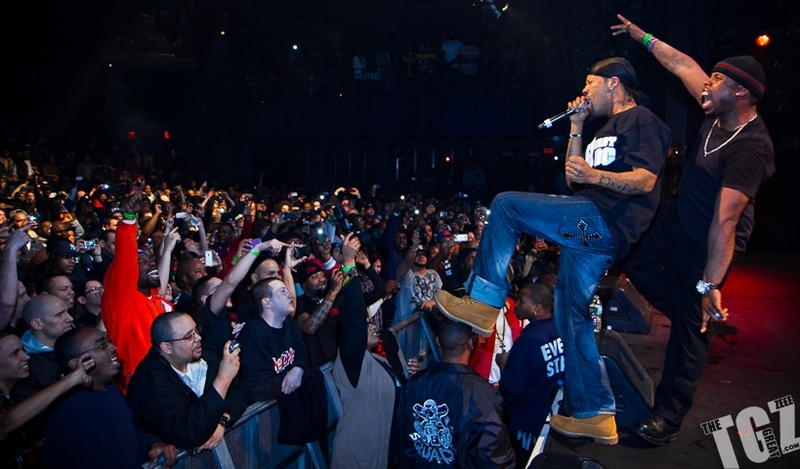 on February 7, 2012 by Robert Calero.